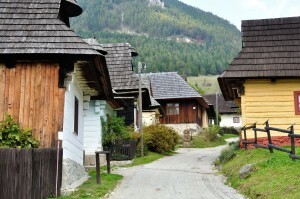 On my recent trip to Slovakia this past October, we visited the UNESCO World Heritage historical village of Vlkolínec. There I got a chance to try something I have never heard of before: a sauerkraut filled thin bread called meteník. This food was also news to my dad, but the lady working the shop confirmed that this in fact is a traditional dish. Sure enough, there are quite a few variations floating around Slovak recipe sites, although I must admit I was disappointed not to find it in any of the three Slovak cookbooks I own. But it’s quite possible it’s hiding in there, just under a different name. When I got back home to the USA, I tried one of the recipes, but it was a straight to trash disaster. This second one, with some of improvisations, turned out much better. Even my wife, who is not a big fan of Slovak “koliba” food, approved! 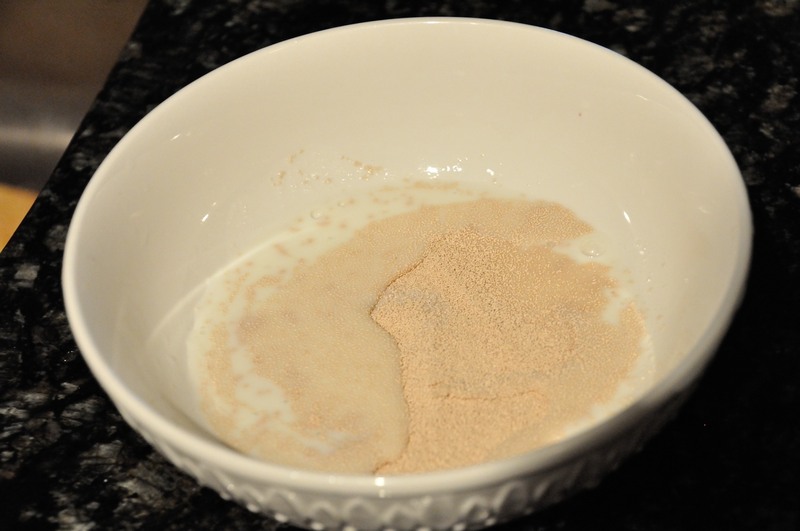 Dissolve the yeast in a bit of milk and sugar. 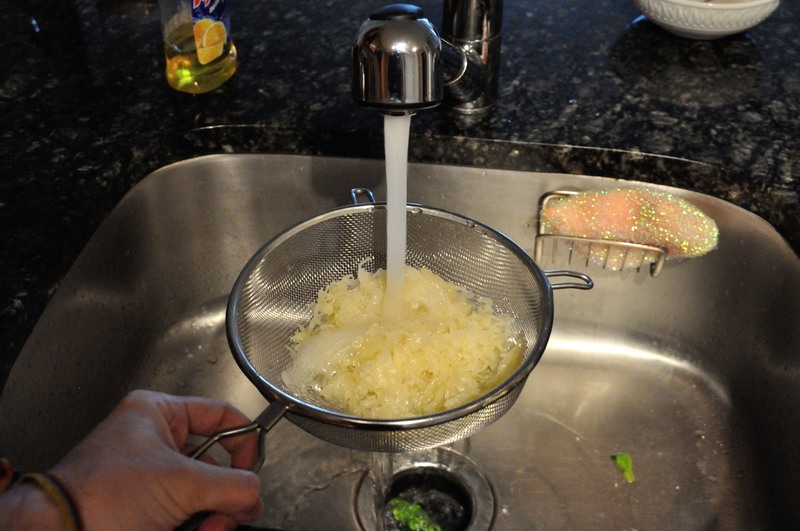 Then, rinse the sauerkraut well, otherwise the meteník will be too sour. You may also want to chop the sauerkraut into finer pieces. Combine the sauerkraut, yeast, milk, flour, two tablespoons of lard, and salt to taste and work together to form dough. Next let rise for about 30 minutes. In the meantime, preheat the oven to 350F. 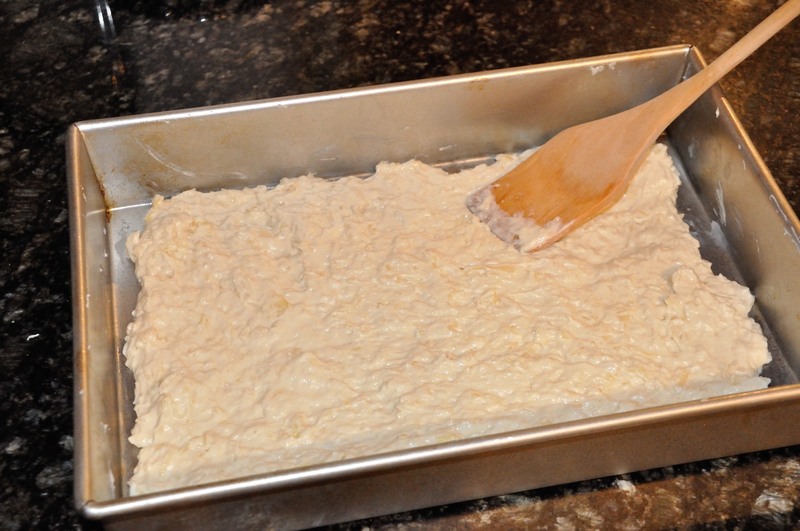 Grease a baking pan, and spread the dough into a fairly thin sheet, based on how thick you want the bread to turn out. Bake for about 75 minutes. 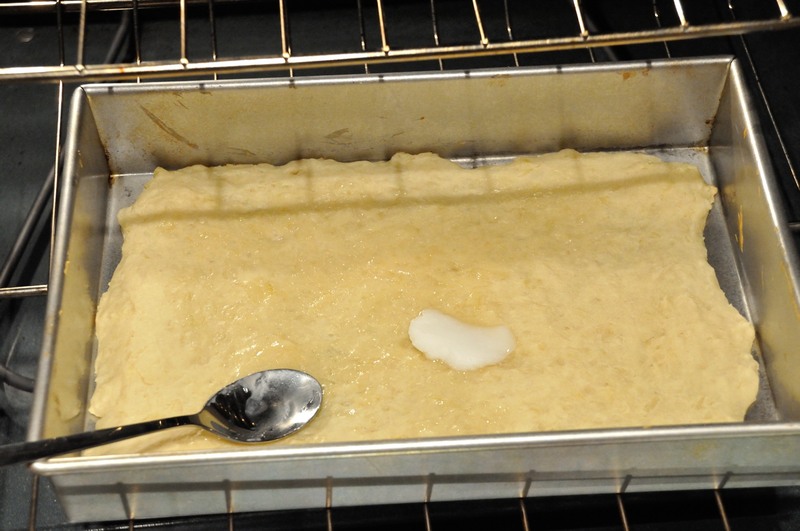 About 20 minutes from the end, I brushed the top with another tablespoon of lard. I then let it bake more, and finished with 5 minutes under a low broiler. 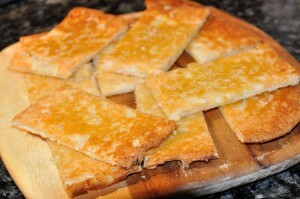 While the bread is baking, press 2 cloves of garlic and mix with oil (I used olive) to make the topping. Some people also put bacon on top, but it was served like this, with garlic spread, during our visit to Vlkolínec. Enjoy! My mom would make this with bread dough. 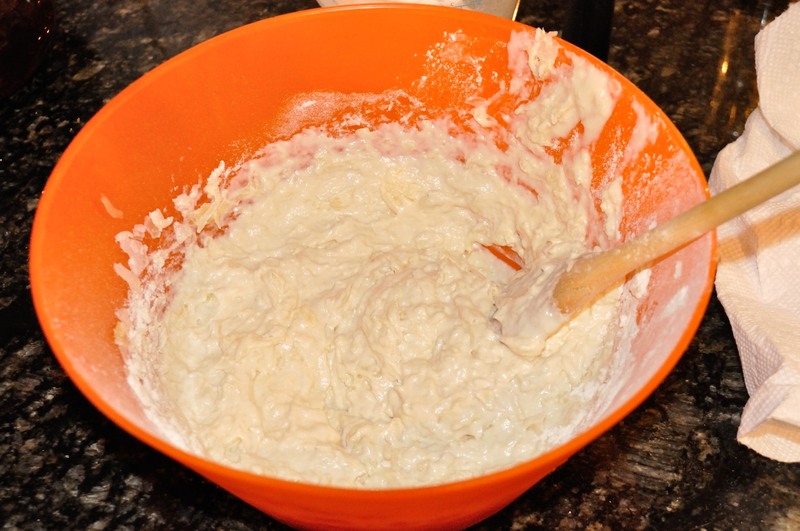 Sometimes she would put the potato cheese in it that she used for pierogies and we would sprinkle sugar on top. What the heck is “potato cheese”?? This recipe reminds me a lot of what my mom use to call “pagachi” only she didn’t use the sauerkraut, just mashed up potatoes and she cooked it in the bottom of her oven. Similar also is the tortilla but much much smaller. Yes, we made pagachii, sometimes with cheese and potato filling on top, sometimes with cabbage and onion or mushrooms. Thick crest. So good. We also made Loksha with just mashed potatoes and flour. Kneaded and rolled thin, the baked on bottom of hot oven . Brushed either butter and salted. 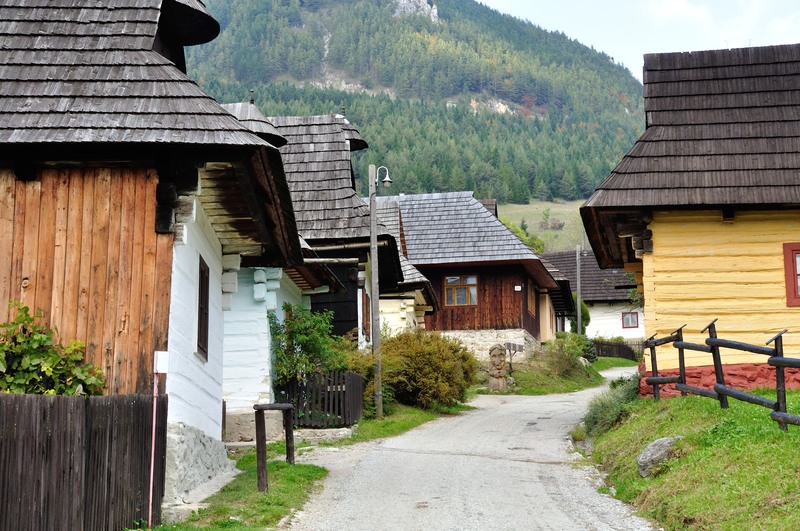 We just returned from three weeks exploring Slovakia, including Vlkolínec. My crock of sauerkraut is ready, so I’ll be trying to make this treat soon. Thanks for the recipe. I finally got a chance to make this dish. The results were out of this world. We found ourselves nibbling little corners off a piece long after we were full. The only change I made was to put tiny slivers of bacon on top of the dough when I put it into the oven. As a recommendation to those who will be trying this recipe, don’t substitute for clean fresh lard, preferably home-rendered. 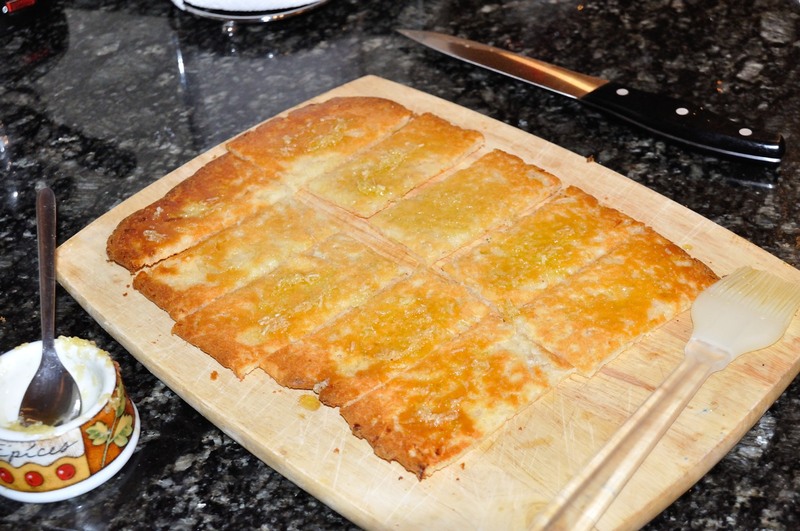 It produces so much flavor and allows the edges and bottom to crisp nicely. 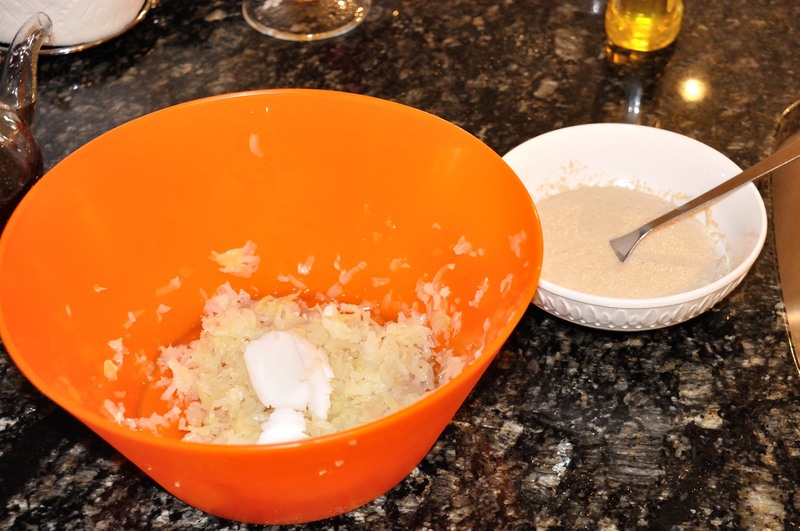 My maternal Grandmother (Matka) used to make a bread stuffed with her homemade sauerkraut which was first fried with onions and butter with a little caraway. It was so good. We called it kapustanik. Anyone else ever heard of this? My mother-in-law made pagach with leftover bread dough. When done she would brush with butter and sprinkle with sugar. That was the treat for her nine kids. No Oreos or Twinkies in those days. 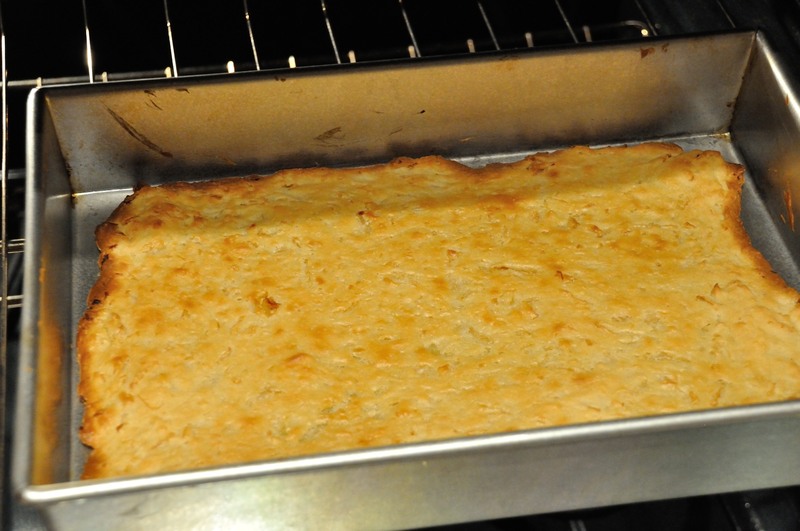 I make it with sauerkraut or potato-cheese filling. We like it rolled very thin. This looks great! 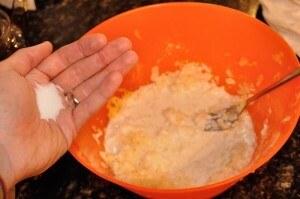 Can you give an estimate of how much yeast you used? Instant, rapid, or fresh yeast cake type? I googled, but man, not having any luck on yeast amounts.